The club facilities are leased from EDF on land between Combwich Laboratory and the River Parrett. There is a clubhouse with showers and toilet facilities, a workshop, a storage shed and boat and car parking space. Combwich Cruising Club was formed in 1966 with moorings and mud berths in the Pill at Combwich. The Pill had been used for centuries as a local berth for ships coming up the River Parrett to and from Bridgwater. 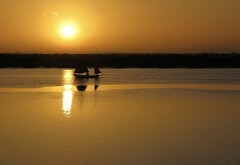 Hinkley Point Sailing Club originated in 1965 when members built the original slipway to the River Parrett on the site adjacent to the Combwich Laboratory. Subsequently members erected the present clubhouse, the pontoon in Combwich Pill and the second slipway into the corner of the dock. 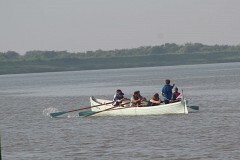 The club was reformed as the Parrett Boat Club in 1998. 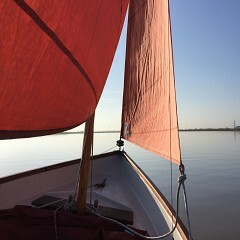 In 2005 the Combwich Cruising Club merged with The Parrett Boat Club (formerly The Hinkley Point Sailing Club) to form the Combwich Motor Boat and Sailing Club. In 2019 the club changed its name to 'Combwich Boat Club' to relect better all the varied boating activities. There are moorings suitable for boats able to take the ground on a mud/hard bottom and storage in a locked compound for dinghies and motor boats.